As a mom putting my kids to bed is sometimes the most stressful part of the day! My oldest has problems falling to sleep and it makes the nighttime difficult for everyone in the house. I found these helpful tips and wanted to share them with you. Do any of your kids have problems at bedtime? Transitioning your child from a fun and busy day to the quite time of night can be hard. Here are some strategies to reduce nighttime stress. 1. During a non-stressful time talk to your child about what worries them at bedtime. If they are scared of the dark offer to keep a night light on. If they think there are monsters in the closet do a “monster check” before bed. Work with them to problem solve together. 2. If it takes your child a long time to unwind start the bedtime routine earlier. Give them time to unwind and talk about their worries or fears. Then follow your normal bedtime routine. 3. Give your child a “worry journal” or “worry doll.” Let your child talk about their fears or worries. Your child can tell the doll their fears and the doll can hold your child’s fears or worries for them overnight. A worry journal allows your child to release their concerns and clear their mind. I know the worry journal helped with my oldest. She writes in it before bedtime and it helps her fall asleep quicker at night. Do you have any thing that has helped your child with nighttime anxiety? School years are busy. Mornings are spent rushing to catch the bus or drive carpool. Days are spent running errands, taking kids to practices, helping with homework, and putting the kids to bed so we can do it all again tomorrow. Believe it or not summer is almost here! Consider hiring a TLC for Kids summer nanny. Your kids will love doing fun activities all summer long. And you will love not having to rush them somewhere every morning. Visit the website to learn more about TLC’s summer nannies. April is a great time to visit Miami. The weather is beautiful and the beaches are gorgeous. Why not spend Passover or Easter relaxing on the beach this year? Hotels like The Fountainebleau, Majestic South Beach, and Conrad Miami are some of the best family friendly hotels in the area. Once here take the time to enjoy a Miami date night. TLC’s in-room hotel nannies provide families with safe, convenient, as needed child care. TLC South Florida sitters are professionally screened, warm, nurturing, mature caregivers selected especially for their experience, reliability, and commitment to quality child care. TLC nannies are easily recognizable in their uniforms and bring age appropriate activities for your children. Reserve your hotel babysitter today! 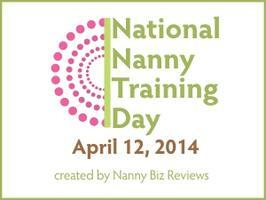 National Nanny Training Day is April 12th. TLC is happy to be hosting this event for nannies in St. Louis. This year we have two great seminars planned for St. Louis nannies. The first one is “How to Live your Life Well.” This seminar, led by a mental health expert, offers practical tools on how to increase mental well being and manage everyday life. The second seminar is “Music and Movement.” Led by a music educator, this seminar teaches caregivers how to incorporate music and crafts into your daily routine caring for kids. For all ages! Please join us for these fun and educational seminars. To learn more and register for the National Nanny Training Day in St. Louis click here.